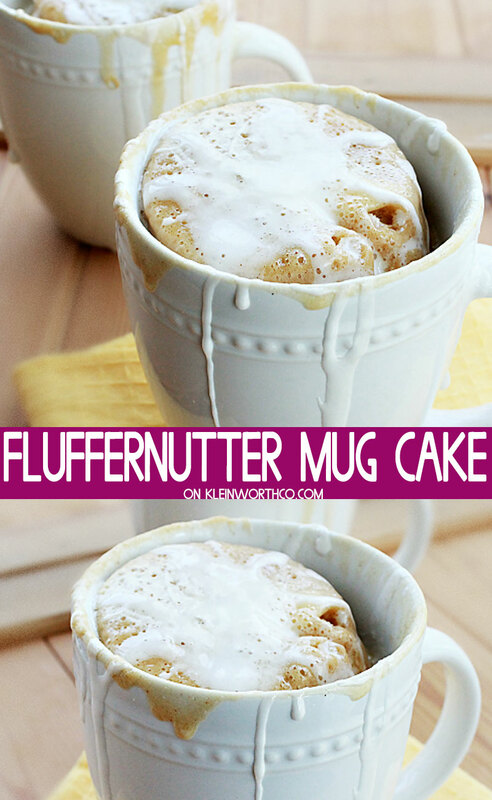 Fluffernutter Mug Cake is an easy 2-minute dessert recipe loaded with peanut butter & marshmallow fluff. 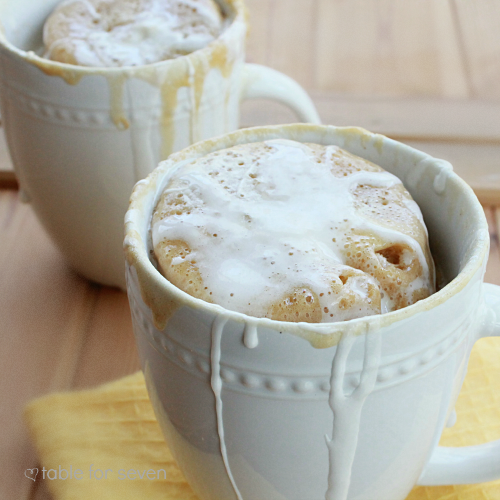 Perfect dessert for two, a must make mug cake! Oh you guys!!!! 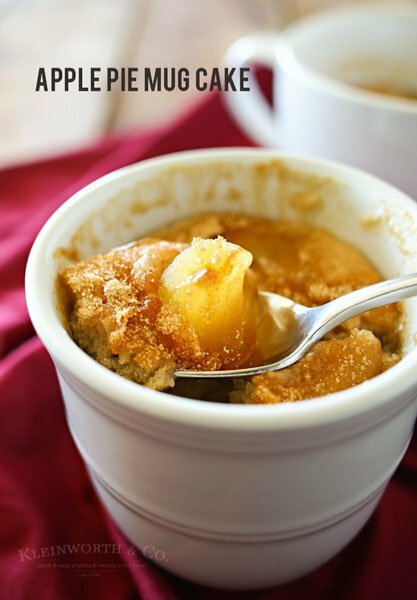 My friend Erin from Table for Seven is back today with yet another KNOCK YOUR SOCKS OFF recipe! 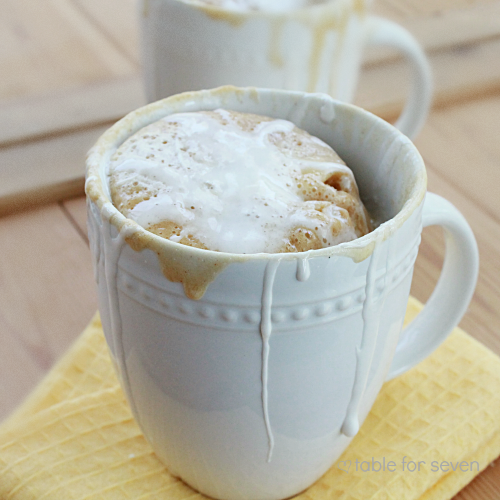 Have you tried cake in a mug before? 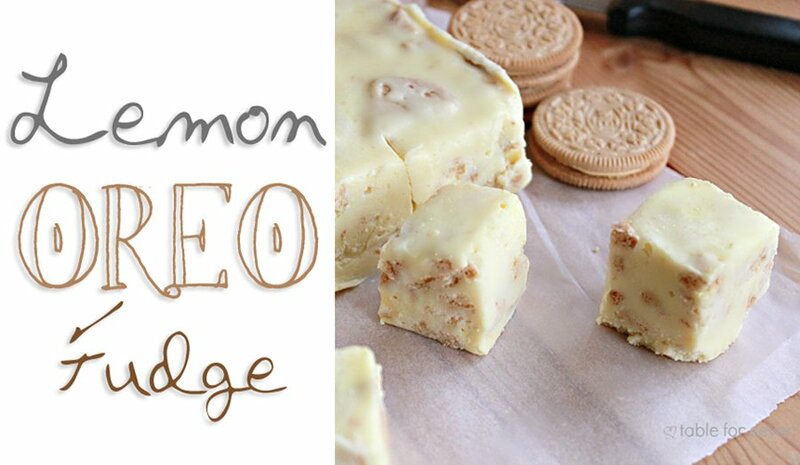 I can’t get enough & this is the recipe that has me busting out my mugs. 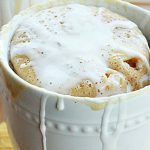 This Fluffernutter Mug Cake looks absolutely INCREDIBLE!!! Check it out!! Hello Everyone! It’s Erin from Table for Seven here! 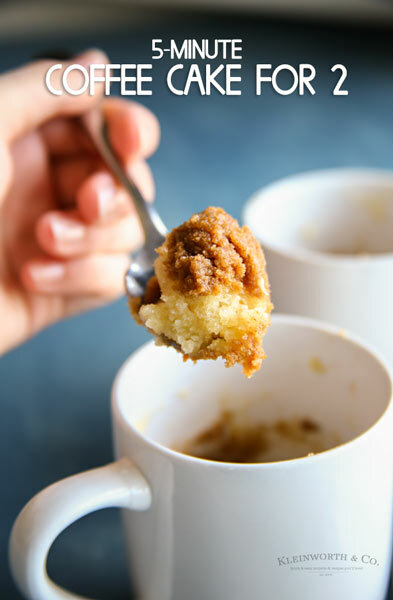 Today, I’ll be sharing one of the greatest inventions of all time: cake in a mug that you can be eating in just 2 minutes. Yes, just 2 minutes. 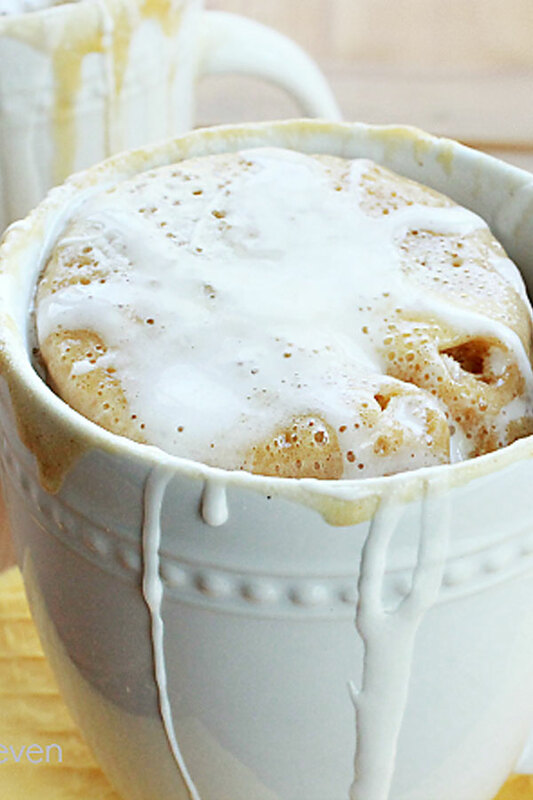 There are many variations of mug cakes out there. This one is off the beaten path of your standard chocolate variety…it’s peanut butter and my personal favorite, marshmallow fluff. It’s perfect when that sweet craving hits! It is the delicious combination of peanut butter & marshmallow fluff. A must try in my opinion! How much will this recipe make? 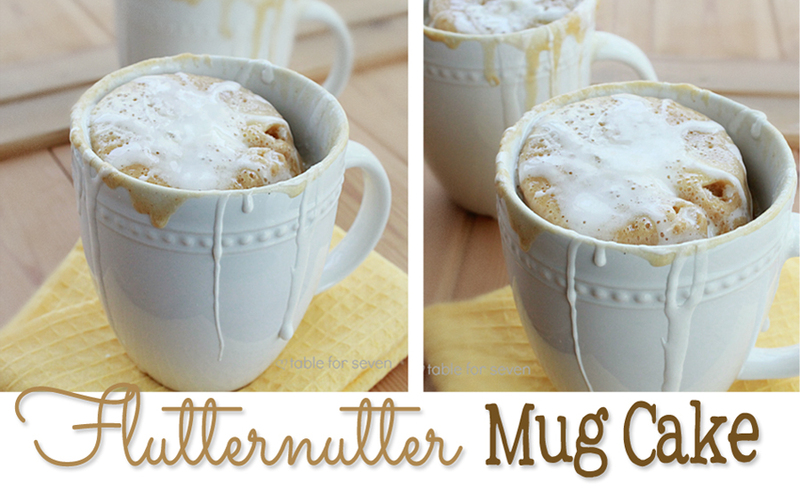 If your mugs are on the smaller side, this recipe will make enough batter to fill 2 mugs. If your mugs are larger, this will make 1 mug cake. 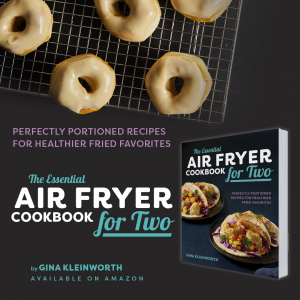 Thank you so much Erin for another AMAZING recipe!!! 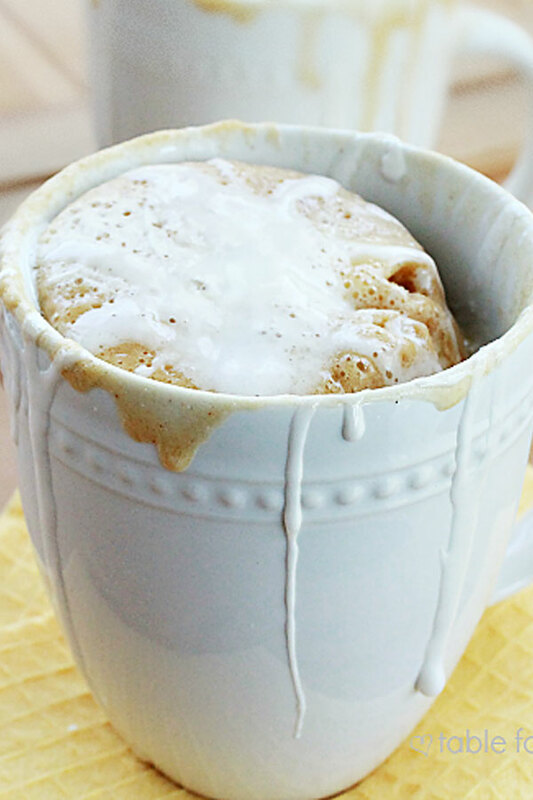 Looking for more awesome mug cakes? In a small mixing bowl, whisk together peanut butter, egg and oil. Stir in milk, vanilla and brown sugar. Then, flour. Divide batter between 2 mugs evenly. Top with another tablespoon of marshmallow fluff. Oh my goodness – YUM!!! This looks so good and reminds me of my childhood. My great aunt used to take care of me when I was little and she would make me toast with peanut butter and marshmallow fluff on it. So yummy!